THIS is the most we can show of New Brighton’s latest and most glamorous resident. 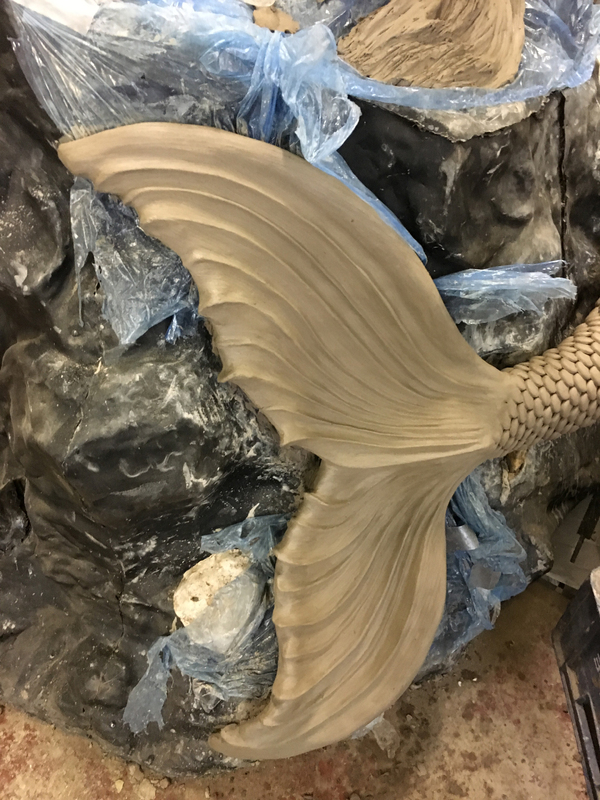 A tantalising glimpse of mermaid tail offers a sneak preview of the fibreglass statues that will form part of New Brighton Mermaid Trail. New Brighton Coastal Community Team formally signed off the mermaid sculpture this week for casting. The statues will be delivered to the schools and groups who will be decorating them next month, ready for the official unveiling in May. The mermaids will be placed around New Brighton, inspired by and celebrating the resort’s history, heritage, and its links with the mythical ‘Black Rock Mermaid’, who was said to have appeared to a local sailor in New Brighton in the 18th century. Ebb & Flow, a community interest company which works with communities, including New Brighton. The Mermaid Trail project is the result of a successful bid for funding by New Brighton Coastal Community Team to the Burbo Bank Extension Community Fund, a grant scheme set up by DONG Energy to benefit voluntary groups and organisations located near to the coastline where it is carrying out the extension to the offshore wind farm.